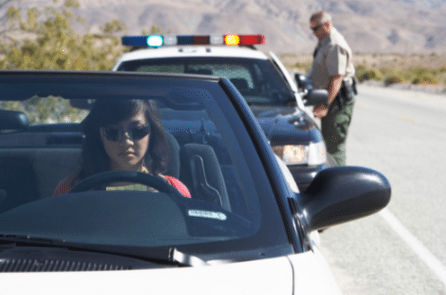 Llinas Law Immigration & Criminal Defense > blog > Traffic Offenses > Do I Really Need a Traffic Ticket Attorney in Connecticut? When you think about a criminal defense lawyer, perhaps the first thing that pops into your mind isn’t traffic tickets. But the truth is that traffic tickets can land you in hot water, especially if you already have accumulated tickets or other driving-related problems in the past. This is why it’s a good idea to get help from a lawyer. Have you recently been hit with a traffic violation or are you curious about how your past driving record will influence current charges? Although traffic ticket fines might seem like a minor issue, you need the support of an experienced criminal defense attorney as soon as possible. Significant and problematic consequences can arise from your traffic ticket violation, particularly if you have a record of prior convictions, even minor ones. Your traffic ticket also includes an important section known as the answer date. You don’t want to ignore this answer date because if you don’t pay or fail to plead not guilty by that time, you could also face additional cost to reopen the case with the clerk of courts or to reinstate your driver’s license. You can plead not guilty, and then fight the ticket at a hearing. Obtaining the support of a knowledgeable traffic ticket attorney is strongly recommended because far too many people assume it will be easy to fight their traffic ticket charges and only discover after the case just how hard it is to move on from a situation like this. Beyond that, an attorney can attend this hearing on your behalf, so that you don’t have to travel or take time off from work in order to do so. The court and other stakeholders involved will have significant experience in terms of handling traffic tickets, whereas you might not be familiar with how to protect yourself and avoid the consequences of having a conviction or paying the fine on your record. Because there are so many costs linked to even small matters such as traffic tickets, you can’t afford to allow these to go on your record without at least first discussing it with an attorney you can trust.